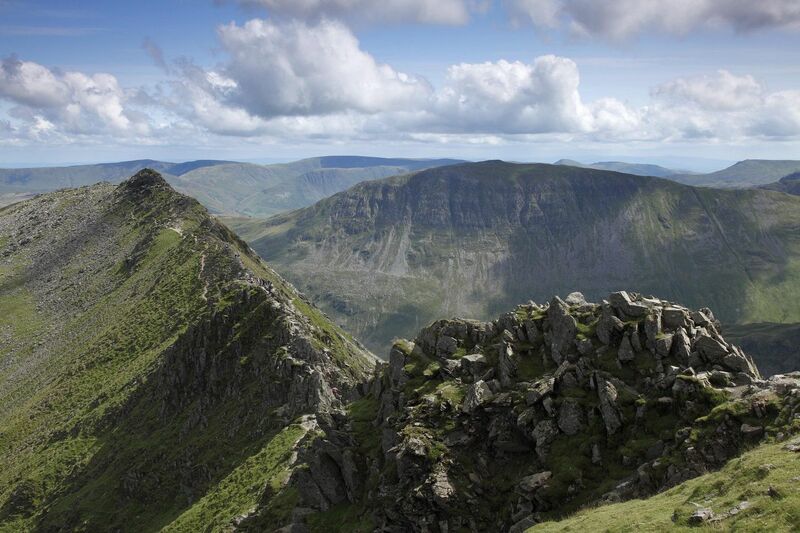 Striding Edge and St Sunday Crag from Helvellyn is one of the classic views you can capture from the summit of this well-loved Lake District mountain. Helvellyn via Striding Ege and back over Swirral Edge to Patterdale taking in the famous Hole in the Wall was recently voted as THE best walk in Great Britain and I can completely understand why. You need to be sure-footed and have a head for heights but the views are fabulous.